Houston, June 10, 2016 – Not every house in the Houston area has high security locks installed. 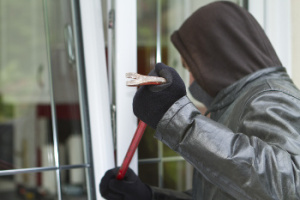 Homes and commercial businesses without high security locks are at risk of being broken into. In recent months there has been a spike in break-in’s where the burglars used bump keys to gain entry. This rise in break-in’s has police concerned because of the high possibility that there could be an assault if the their is caught inside of the home. Most break-in’s where the criminal has been caught inside the home ends tragically. This low tech bump key technology makes it easy for criminals to enter a home. The bump key carries low peaks and wider valleys, and a ‘bump’ action allows it to move the lock’s internal pins and open it ajar. Such keys are thus specially used for pin tumbler locks that carry springs to keep the lock in a closed position. However, according to some experts, over 95% of normal locks can be violated with a bump key. Because of the recent spike in break-in’s 713 Locksmith is now offering a free security audit to protect Houston residents. 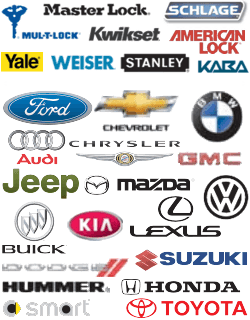 “We feel that as a professional locksmith service that we have an obligation to protect residents. That is our primary job. Because of this we are now offering free security audits to all of the residents in Houston who call us”, says Coleman Oneil manager of 713 Locksmith. The free audit service from 713 Locksmith is administered by its locksmith service experts who carry a wide experience in handling emergency operations. The audit will comprise an assessment of all access and entry points, weak areas, checking of locks and security equipment and provide a comprehensive list of to-do actions to make the premises secure. “Houston has been witness to unscrupulous criminals breaking into commercial and residential premises using simple bump keys. This shows that there are gaps in safety barriers that must be detected and corrected before a break-in can occur. Our audit service is free of cost, and it is a great way to start taking a second look at how secure that a property is,” said Coleman Oneil. Founded in 2011, 713 Locksmith consists of a team of over a dozen experts who provide a complete range of key making, lock repairs, home lockouts, emergency rescue and security audit services. Their free security audit services can be reached by calling their phone number at (713) 955-1009. Houston locksmith now offering free security audits http://713locksmith.com/houston-locksmith-now-offering-free-security-audits/ 4.0/5 based upon 26 reviews.